Today, March 22nd only, head over to shopDisney.com where you can score FREE Shipping with any Disney Parks authentic merchandise purchase when you use promo code PARKSHIP at checkout. 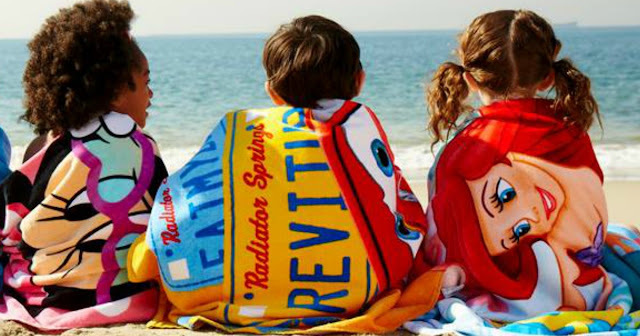 Even sweeter, through March 25th, you can score $1 Personalization on Beach Towels, Coverups and more (Retail $5.95) when you use promo code DOLLARPZ at checkout. Plus, while supplies last, score a Mickey Mouse, Minnie Mouse or Stitch Plush Bunny for just $10 (Retail $19.95) with ANY purchase! You can also snag beach towels for just $12 (regularly $16.95), swimwear and cover-ups for $15 (Retail $22.95+), and sunglasses, goggles and flip-flops for just $5 (Retail $7.95+). Consider buying something small from Disney Parks merchandise for free shipping and then ordering a personalized towel!